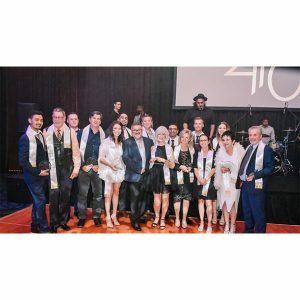 Top achievers within Gold Coast-based timeshare company, Classic Holidays, have been inducted into The Winners Circle for 2018. Now in its sixth year, the staff recognition program rewards elite performance and recognizes the best of the best within the company. The top performers in sales and marketing and Classic’s service staff who exceeded exceptional targets will be rewarded with a trip to Atlantis, The Palm in Dubai for a week in October 2018. Classic Holidays CEO and Beneficium Chairman, Ramy Filo, congratulated The Winner’s Circle inductees for their passion and dedication to their work. “These are our top performing staff – not just in sales and marketing but right across the company,” said Mr Filo. “They have been nominated by their peers for going above and beyond, putting forward innovative ideas and being a positive part of the culture of Classic Holidays,” he said. Run by Classic Holidays’ parent company, the Benny Awards are held annually to recognise the group-wide achievements of staff and Australian and New Zealand resorts over the past 12 months.